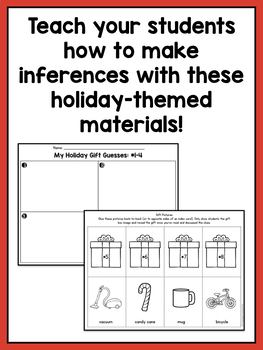 This 4-page inferring activity works great around Christmas or the holidays, but can also be used anytime throughout the year. The purpose of the activity is to give students practice making inferences and supporting them with text evidence. 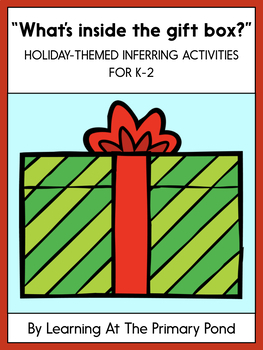 In this activity, 7 “mystery gifts” are described. 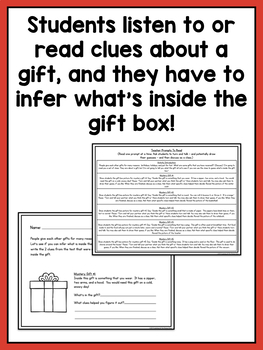 Students need to read the description and guess what is inside each gift. They are also asked to write at least 2 clues from the text that were most helpful to them. 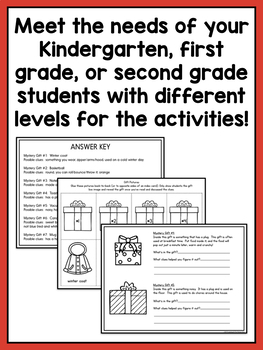 The activity can be used with 1st or 2nd graders, but most 1st graders will need to have the descriptions read aloud to them. An answer key is also included.